It's fun to play with block people when you are 1000 times bigger than they are. But what would happen if they shrunk you down and kidnapped you? Would you have to build houses and vehicles for them? Would it even be possible to build when the blocks are as big as you are? Are you their leader or their slave? What do the brick people want? 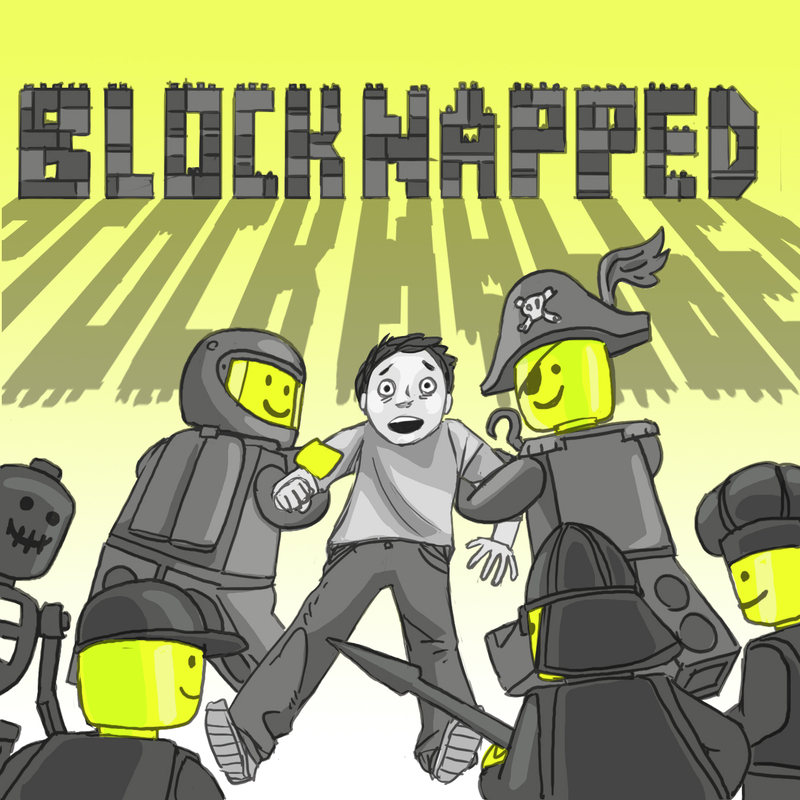 You've been BLOCKNAPPED! After rendering the type, I realized "Bricknapped" is a better title. This is actually a variation on one of last year's books (Brick Town Cop) where the hero is a human kid instead of a block person. It would be fun to build the pictures in this book out of LEGO and illustrate the kid in on top. I meant to do a football themed book for Superbowl Sunday. But I couldn't think of one. I love the idea of a book illustrated in LEGOs, with hand-drawn illustrations overlaid. It would be a lot of fun... and hard work. You have to do this book! There's a huge audience for it! My boys just picked up Cool Robots at the book fair by LEGO artist Sean Kenney, and it doesn't even have a plot! Big bucks, LEGO would take it worldwide. My boys totally want you to do this one. Pitch it to LEGO.